This is Part 16 of a 47-part series of occasional blog posts looking at curries from each of Japan’s 47 prefectures. For 500 years, “Maeda” was the most famous name in Ishikawa Prefecture. Nowadays, it’s “Matsui.” The Maeda were a daimyo family who ruled by the sword; Matsui was a baseball player who ruled with a bat. 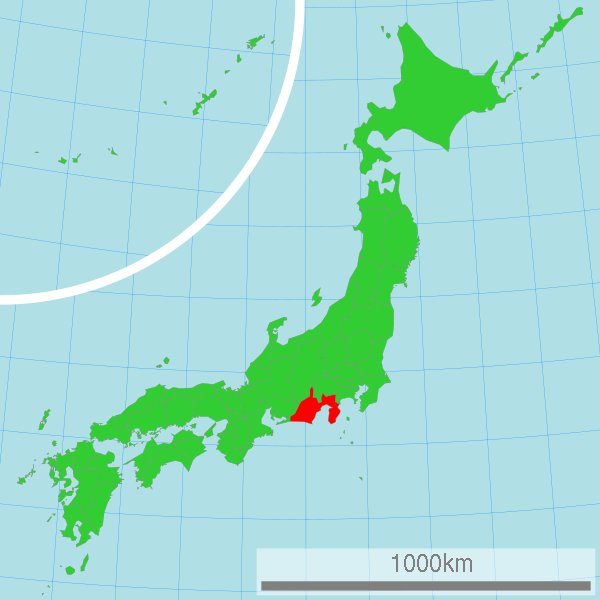 Ishikawa is a broad swath of coastline on the Sea of Japan. Covering 4,185 square kilometers, it is about the size of the U.S. state of Rhode Island. The Noto Peninsula accounts for about half of its land area. 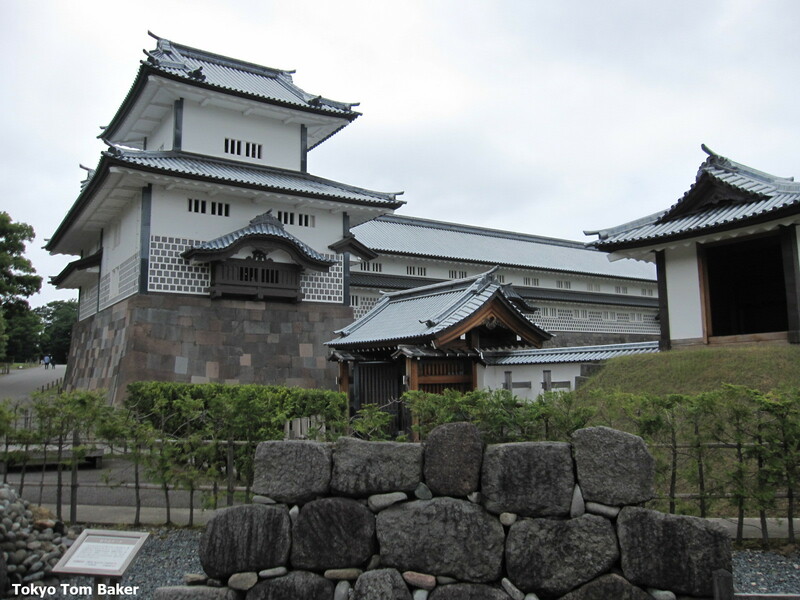 The Maedas built a castle in the city of Kanazawa, in the mainland part of Ishikawa, in 1583. According to a prefectural website, they were one of the most powerful families in Japan, second only to the Tokugawas who ruled the nation from Edo. When I visited Kanazawa a few years ago, the wealth and power of the Maeda family remained evident not only in their sprawling castle, but also in Kenrokuen, the vast and magnificent garden they had built in the 1700s. 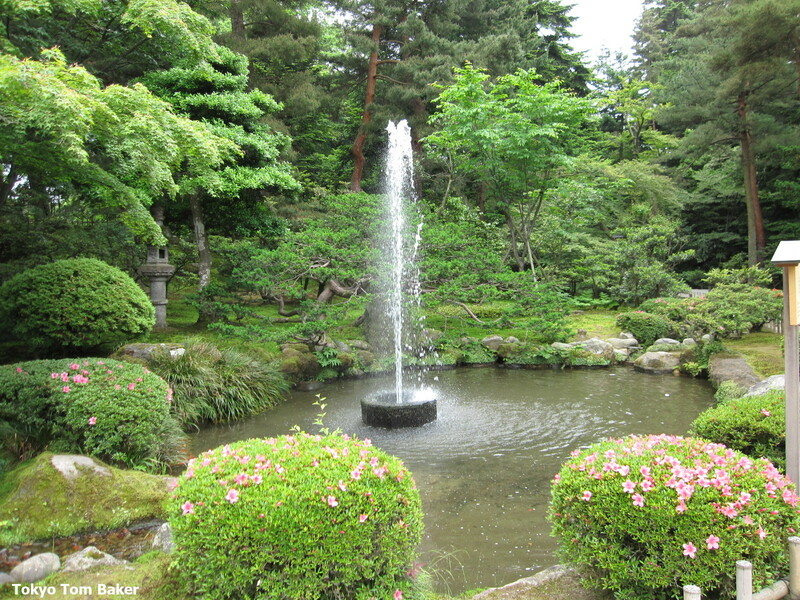 One of its most fascinating features is Japan’s oldest fountain. Set in the center of a pond, it shoots a jet of water 3.5 meters into the air, powered simply by having its water supply piped in underground from a different pond at a higher elevation. I thought I could see why the Maedas had been so prosperous. 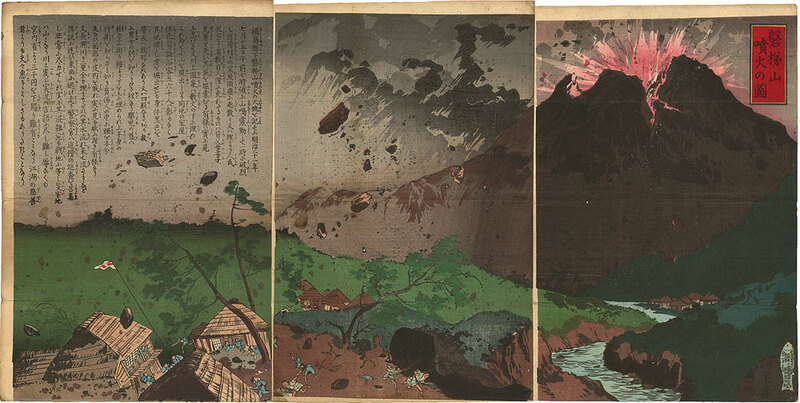 First, Tokyo (as Edo is called nowadays) is separated from Kanazawa by row after row of mountains, which would have made it difficult for the Maedas and the Tokugawas to molest one another militarily. Secondly, there was a lot of nice-looking farmland along the coast. And the coast itself – its length multiplied by the peninsula – means plenty of seafood is always nearby. 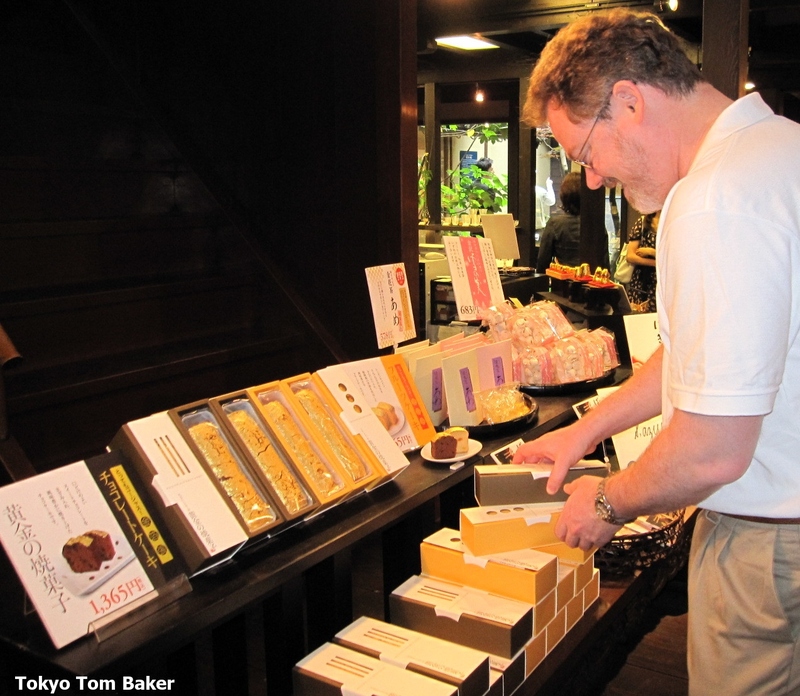 The area seemed to have other natural resources as well: The name “Kanazawa” means “gold marsh,” and the manufacture of gold leaf is an old traditional industry there. During my visit, I ate some spectacular multicourse seafood dinners at my hotel – including an unforgettable baked apple stuffed with crabmeat – and I bought some pound cake topped with gold leaf as omiyage to share with my coworkers back in Tokyo. This is not as extravagant as it sounds: With the gold leaf being just 0.0001 millimeters thick, it cost only slightly more than any other pound cake. Unfortunately, the leaf was so delicate, and the cake so moist, that most of the gold wound up smeared across the inside of the box by the time I got it to the office. Such tourist fare is all well and good, but if you really want to understand a place, it helps to sample its home cooking. And that’s where Matsui comes in. Professional baseball player Hideki Matsui was born in 1974 in the town of Negari,* now part of the city of Nomi, Ishikawa Prefecture. Most mothers want their sons to grow up to be big and strong, but few succeed as dramatically Mrs. Matsui did. As a kid, he was already such a powerful right-handed hitter that the other boys wouldn’t play with him unless he switched to batting left-handed. He did – and still went on to become one of the top batters in the world. There must have been something in his mom’s cooking. Maybe it was her curry. Matsui became a star while still a Kanazawa high school student, attracting national attention in 1992 with a record-tying seven RBIs in his first game at the Koshien national baseball tournament. Japan baseball authority Jim Allen** describes the repercussions in an article here. Matsui went on to become a star of the Yomiuri Giants and the New York Yankees before ending his career in 2012 with the Tampa Bay Rays. A Tokyo Dome ceremony to mark his retirement was attended by Prime Minister Shinzo Abe. Throughout his career, Matsui bore the nickname “Godzilla,” which most fans associated with the power he brought to the plate. (Allen reports that in earlier days the nickname referred to his “coarse complexion.”) At some games, the Blue Oyster Cult song “[Go Go] Godzilla” would play as Matsui stepped up to the plate. This was doubly appropriate since the number he played under, 55, can be pronounced “go-go” in Japanese. Now that Godzilla is retired, he has taken to hawking a brand of curry called “Matsui-ke Hiden no Kare,” or the Matsui family’s secret curry. 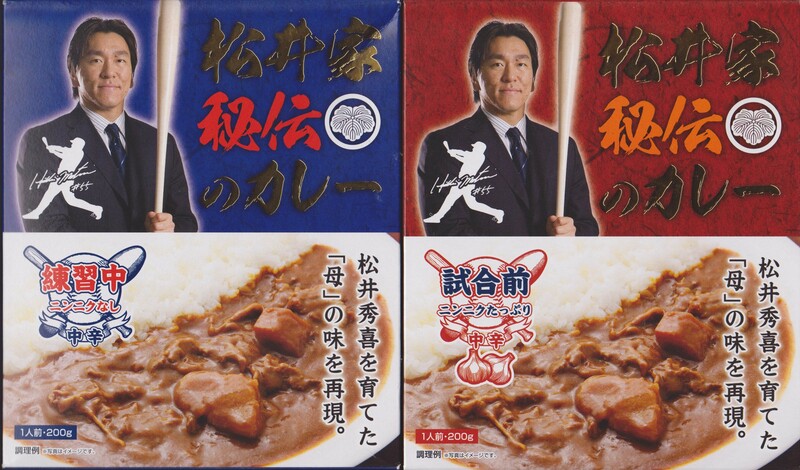 Dressed in a jacket and tie, Matsui is shown holding a bat on the front of the box, which bears the slogan, “The ‘Mom’ flavor Hideki Matsui was raised on, re-created.” On the back of the box, a more casually dressed Matsui holds a spoon and declares, “The flavor of this curry is exactly like my Mom’s flavor I was accustomed to when since back when I was a kid.” Further text on the back says the contents are “just like” the stuff that “the first World Series MVP from Asia” grew up on. The wording makes it pretty clear that this is not really Matsui’s mother’s recipe, but just a reasonable commercial approximation. That makes me feel a little better about liking only one of the two varieties it comes in. Both come in a brown sauce so thick as to be almost pasty, not soaking into the rice at all. In that regard, these are the most typical Japanese curries I have tasted for this series. Both included soft potatoes, softer carrots, and a few random bits of meat sliced only a little thicker than gold leaf. Both are billed as “medium spicy,” but the training curry tasted pretty mild to me. It would have been right at home in an institutional cafeteria. However, the sharp smell of the pre-game garlic curry told me it was going to be something special. And sure enough, it had a fantastically strong garlic flavor. It actually created a slight burning sensation on my tongue. I was very impressed. 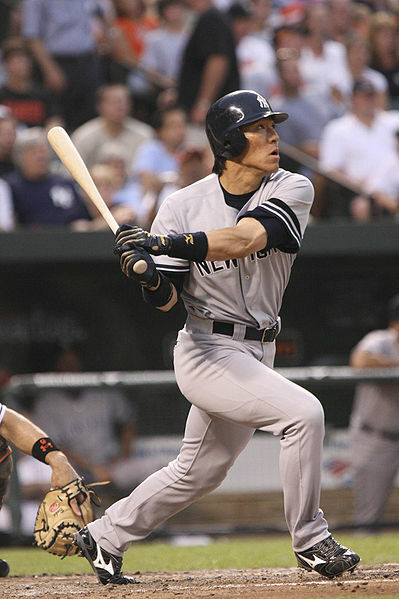 Matsui hit 507 home runs in his pro career. I have hit only one home run in my life – and that was 20 years ago in a softball game. After eating Matsui’s curry, I doubt that my batting prowess has improved. But it did give me something in common with the original Godzilla: incredibly powerful breath. *The mayor of Negari at that time was Shigeki Mori, who was in office from 1953 to 1989. Mori’s father had been the mayor before him, and his son Yoshiro Mori went on to become prime minister from 2000 to 2001. The Maedas may be gone, but dynastic politics is alive and well. **If you like that, go listen to Japan Baseball Weekly, a podcast that Allen and fellow expert John E. Gibson produce together here. Yes, that’s a plug. Go listen. This is Part 15 of a 47-part series of occasional blog posts looking at curries from each of Japan’s 47 prefectures. Late October has been pleasantly cool in Tokyo this year. This comes as a relief after a scorching summer of record-breaking heat — including temperatures above 30 C (86 F) well into October. In August, I dealt with this by doing what heat-averse Tokyoites have done for many years. 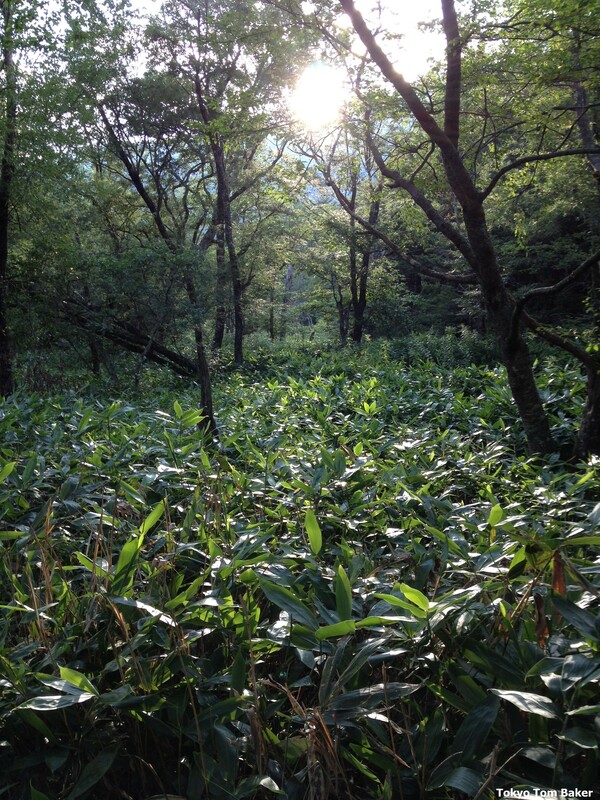 I escaped to Nagano Prefecture for a weekend. Though it is nearly on the same latitude as Tokyo, Nagano’s elevation is much higher, making it a natural summer retreat. It’s also known for skiing; the Winter Olympics were held there in 1998. The most popular summer resort area is Karuizawa, where then Crown Prince Akihito first met his future wife, now Empress Michiko, while playing tennis in 1957. It’s also where John Lennon and Yoko Ono used to go to relax in the 1970s. 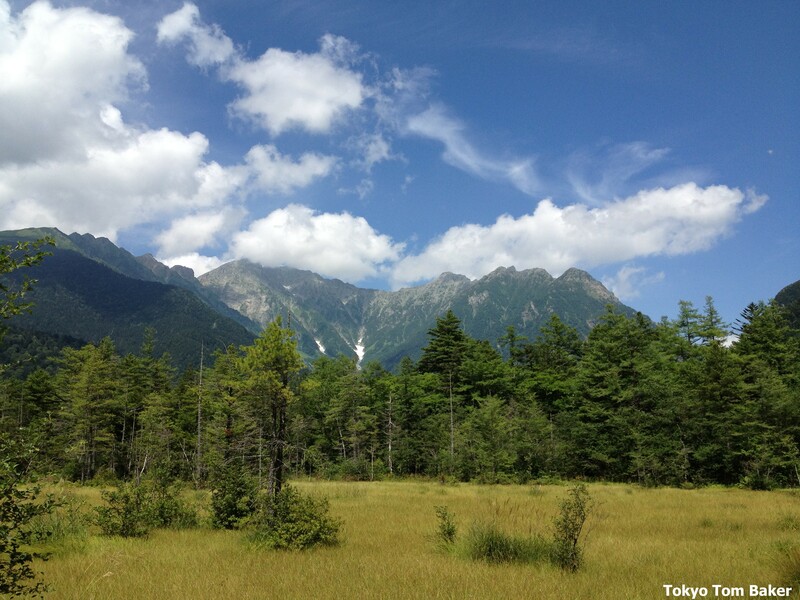 But on my own latest trip to Nagano, I visited a less crowded destination: the Kamikochi valley. There is no rail service to Kamikochi, so getting there requires a long drive by bus or car from Tokyo to Matsumoto, a city famous for its “black crow” castle. From there, you drive upstream along the Azusa River as it snakes ever higher into the mountains. Visitors pass several dams owned by TEPCO, even driving over the top of one of them, and go through more tunnels than I could count. In addition to such soothing scenes, the air was clean and refreshing, and the place was nearly silent. Too cool for the shrilling cicadas that occupied Tokyo at the time, the valley had a low-key soundtrack dominated by the river gurgling over rocks and the susurration of the wind in the trees, punctuated only by the occasional quack of a river duck. It also had a souvenir shop where I bought two different Nagano curries. Like neighboring Yamanashi, Nagano is a big producer of fruit. The prefecture is especially proud of its apples, which are often used (usually in pureed form) to sweeten curries. 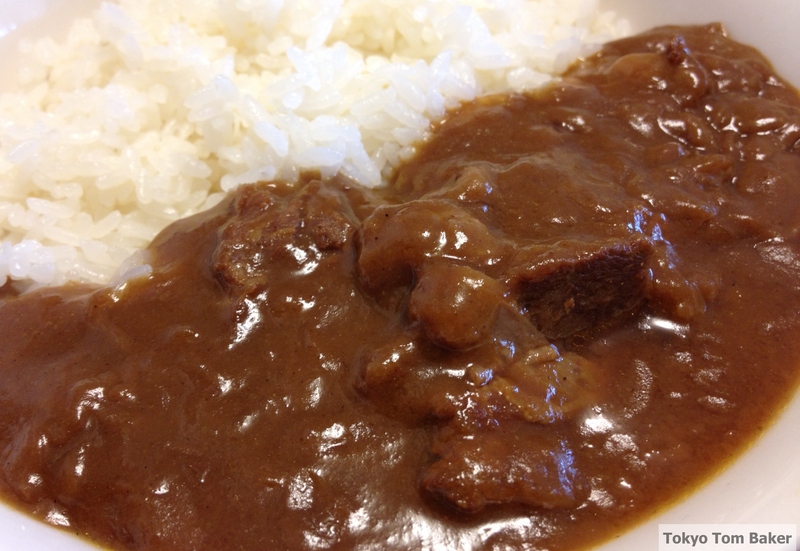 But instead of apple curry, I bought some beef curry made with the meat of apple-fed cows. While I was at it, I also got some curry made with yeast-fed Nagano pork. The beef curry came in a dark sauce with a ketchuppy demiglace flavor that was slightly spicy, slightly sweet and not terribly interesting. The pork curry was much better, although not spicy at all. It had a very umami flavor and a luscious creamy fatty mouthfeel. A big chunk of soft fat undoubtedly contributed to that effect, but there was only a little actual meat. In fact, there didn’t seem to be anything special about the meat in either of these curries. Still, of the two, the pork is the one I’d be happier to eat again. By the way, if you’d like to see a little more of Kamikochi, check out the post about the valley’s Myojin-ike pond over at The Lobster Dance. This is Part 14 of a 47-part series of almost-weekly blog posts looking at curries from each of Japan’s 47 prefectures. If you climbed the southern slope of Mt. Fuji, you’d be in coastal Shizuoka Prefecture, home to the sardine curry I blogged about earlier. Then, if you descended the northern slope of Mt. 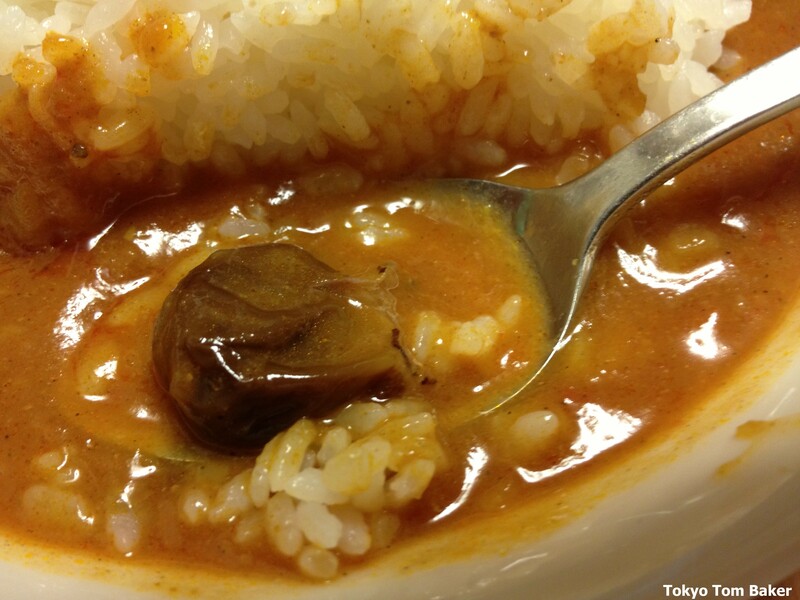 Fuji, you’d be in landlocked Yamanashi Prefecture, where you could sample curry made with fruit. Grapes and wine are Yamanashi’s most famous products. The cultivation of grapes dates back about 1,300 years, apparently beginning with a monk who had a vision of Buddha holding a bunch of them. Wine production didn’t get started until the 1868-1912 Meiji era, but there are now more than 80 wineries in the prefecture, making about 40 percent of Japan’s domestic wine. In 2007, the prefecture was No. 1 in grape production, at 51,400 tons, well ahead of second-place Nagano with 30,700. It was also first in peaches (54,100 tons, ahead of then second-place Fukushima at 27,800) and plums (6,660, ahead of second-place Wakayama at 3,280). They both had a low-to-medium level of spiciness, along with a weak sweet flavor. 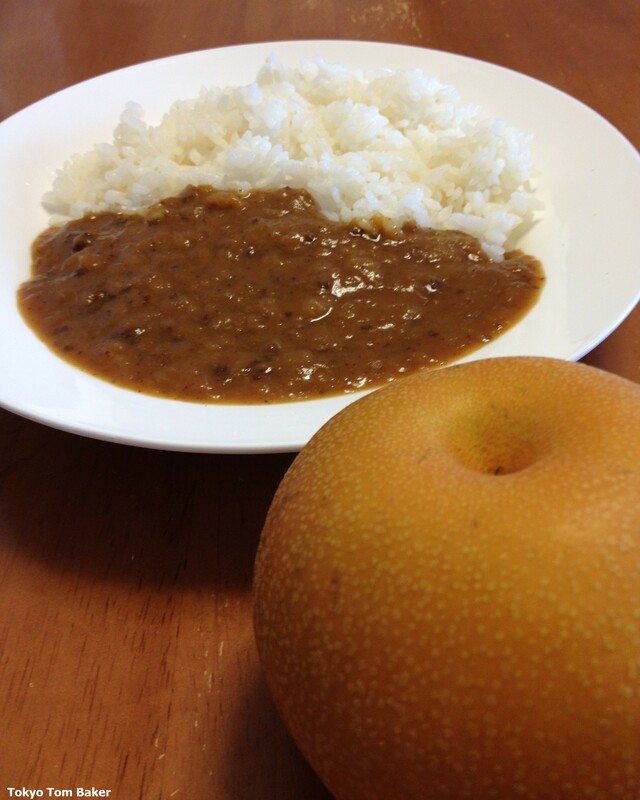 The sweetness was slightly more noticeable in the grape curry than the peach. The peach curry contained one impressively large chunk of fruit along with smaller fragments. The grape curry was slightly sweeter, and it contained two whole grapes. Because they were still in their skins, they held their shape and texture much better than the peach did. This added some textural variety, but in terms of flavor neither of these curries was especially exciting or interesting. 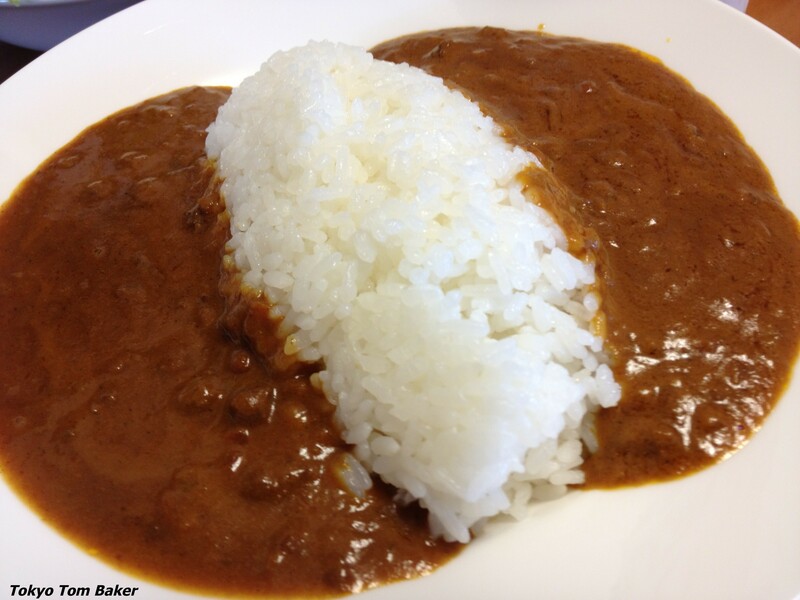 This is Part 13 of a 47-part series of almost-weekly blog posts looking at curries from each of Japan’s 47 prefectures. One day in 1989, someone brought some nashi pears the office where I was working. They sliced them up and passed them around on little plates. 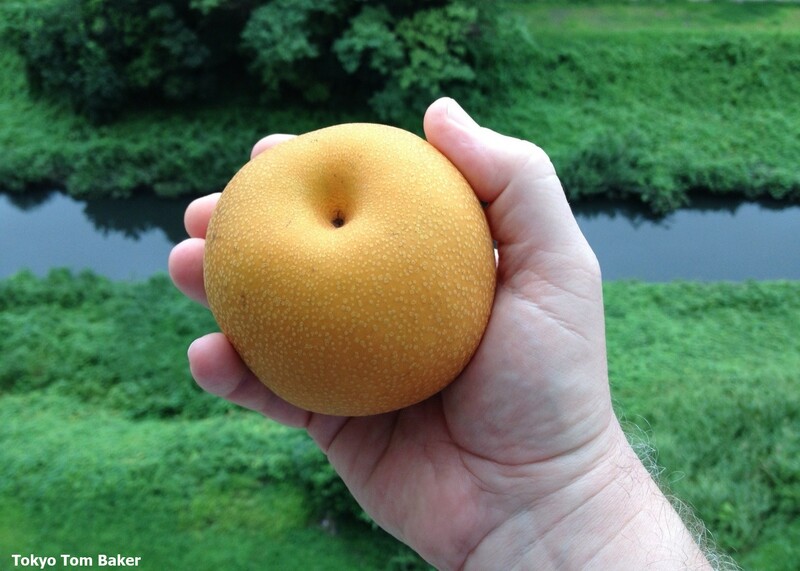 I had just begun living in Japan and had never seen or heard of nashi. The first thing I noticed was that these pears weren’t pear-shaped. They were big and round. The second thing I noticed was that they were some of the most delicious fruit I had ever eaten. The texture was remarkable. The pale flesh was about as hard as that of a Red Delicious apple, and even more crisp. But it was packed with a seemingly impossible volume of clear, sweet juice. How so much liquid could some out of something so solid was a wonderful paradox. And after eating it, my mouth felt clean and refreshed. I was blown away. If only people in America knew about these, I thought, they would be hugely popular there. A year later, in 1990, I went to the theater to see the movie “Ghost.” Patrick Swayze plays a murder victim, and Demi Moore plays his grieving girlfriend. The villain who arranged the murder wants to find out how much she knows, so he sets out to seduce her. In the most shocking scene I saw on film that year, the actor Tony Goldwyn pulled out a crumpled paper bag and presented Demi Moore with some delectable “Japanese apple pears” – a rare, expensive and little-known treat in America, a gift meant to show his generosity and savoir-faire. I was aghast. My beloved nashi had been introduced to the American public at last – but as a tool of seduction in the hands of a cold-blooded killer. Oh, the injustice! They might as well have taken those pears, chopped them into tiny pieces and made them into curry! Well, 23 years later, I have learned that someone did just that. 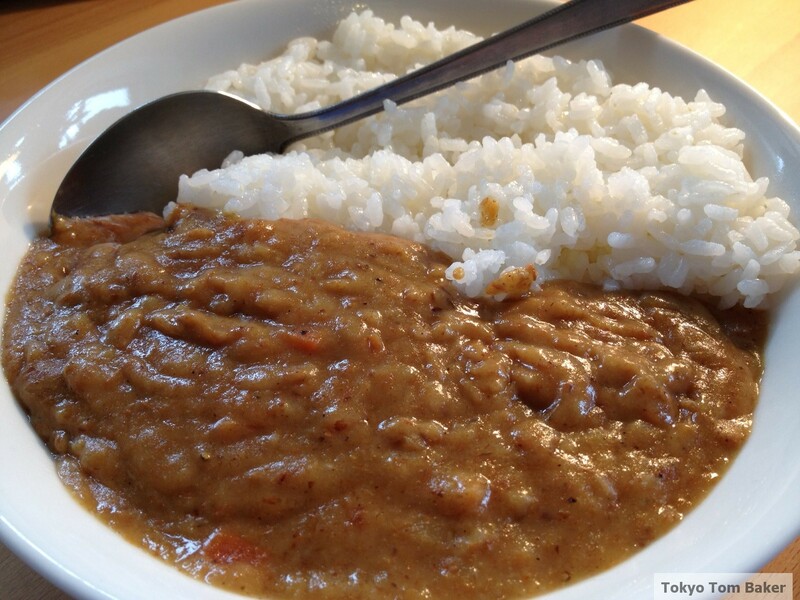 This week’s curry comes from Tottori Prefecture, which is perhaps most famous for sand. The Tottori Sakyu sand dunes, 16 kilometers long and two kilometers wide, are one of the weirder bits of Japan’s geography. They’re also the place where the famous 1964 movie “Woman in the Dunes” was filmed. So far in this blog series, I have tasted curries made with cheese, olives, mackerel, strawberries and horse meat. 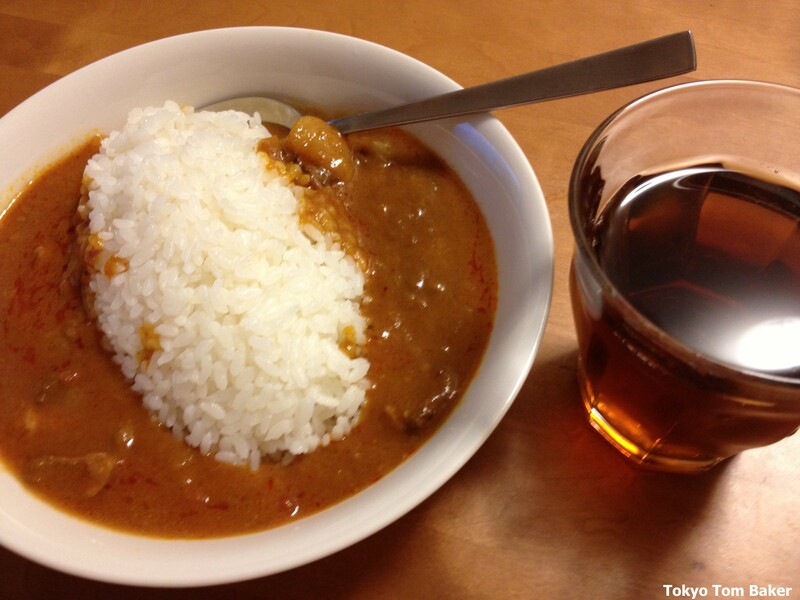 Almost anything can be made into curry in Japan, and I’ll try almost any Japanese curry. But even in Tottori, there is no sand curry. Good thing, too, or I might feel obliged. However, they do grow nashi pears there. In particular, they have one nashi tree with especially good pears that was found growing wild in 1904. 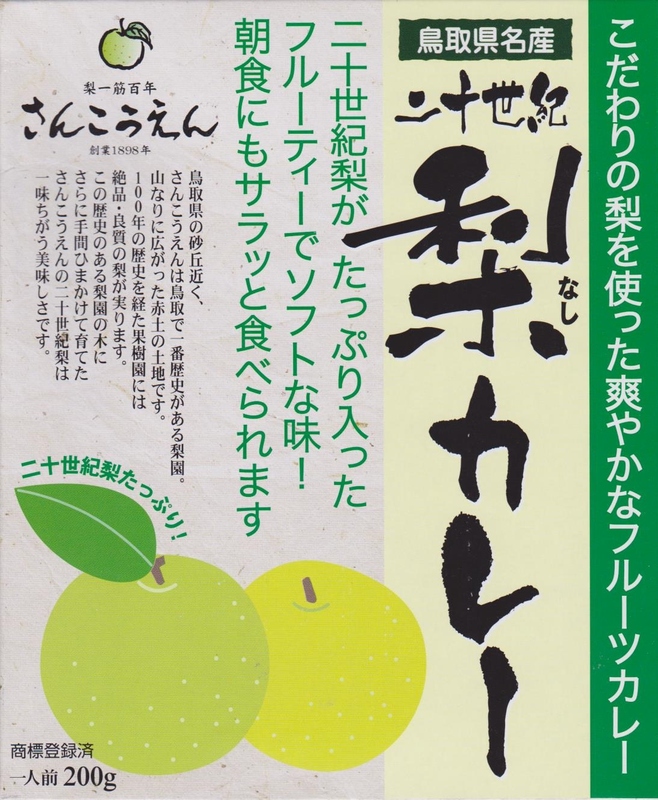 It was named “Nijuu Seiki Nashi,” which literally means 20th-century pear. This tree and its many offspring produce pears that Tottori is quite proud of, as evidenced by this promotional website and the fact that they actually built a Tottori pear museum. 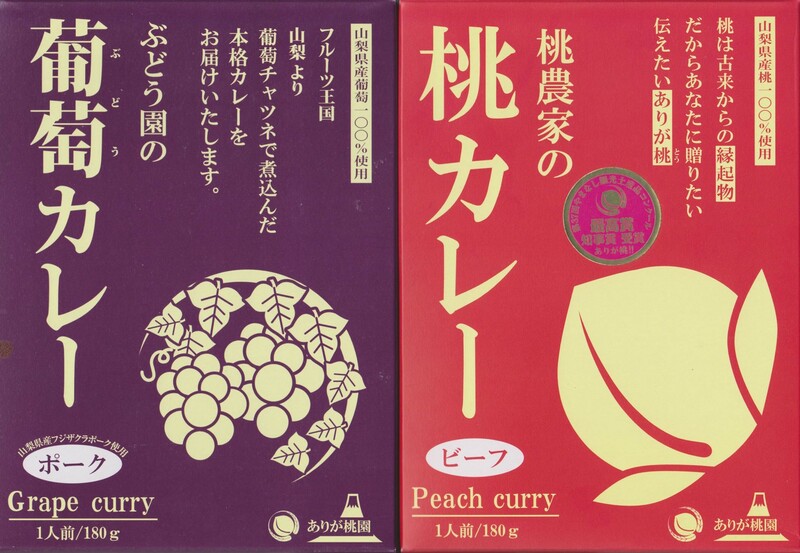 And of course, there is Tottori 20th-century pear curry. Nashi is the first listed ingredient, but a parenthetical note advises that only 60 percent of it is the 20th-century variety. This is followed by sautéed onions, curry roux, fond de veau and ground meat. It is labeled as being mild enough to eat for breakfast, and that is when I tried it. It was very nice. The soft bits of minced fruit and firmer bits of well-cooked ground meat gave it an interesting pebbly texture that went well with tender grains of rice. I surmised that the meat might be pork, knowing how that particular meat is often prepared with fruit. But the ingredient list identified it as a beef-pork mixture. It was definitely sweet, but not in such a way that the flavor shouted, “Nashi!” If I’d been tasting this blind, I might have guessed it was made with green apples that had mellowed in cooking. On a more personal note, the particular sweetness of this curry brought up memories of being a little kid pulling out the insides of honeysuckle flowers to taste of the drop of nectar in each one. It was a very pleasant breakfast indeed. This is Part 10 of a 47-part series of weekly blog posts looking at curries from each of Japan’s 47 prefectures. Curry may have come to Japan via its navy (as I explained in my first post in this series), but this week I focus on a different branch of the military: the air force. “Aspiring sincerely to an international peace based on justice and order, the Japanese people forever renounce war as a sovereign right of the nation and the threat or use of force as means of settling international disputes. This article, part of the American-drafted Japanese Constitution that came into effect in 1947, echoes the 1928 Kellog-Briand Pact and the 1945 United Nations Charter, both of which officially imposed a global ban on war. It’s a noble sentiment, but wars keep happening. Japan, however, has not been a combatant in any of them since its Constitution took effect. As big as Japan’s military-which-isn’t-officially-a-military may be on a world scale, it’s still the little kid in its own neighborhood. All of its immediate neighbors – China, Russia, Taiwan and the two Koreas – have militaries that are far larger by many measurements. And not all of those neighbors are entirely friendly to Japan. Therefore, some people – most notably Prime Minister Shinzo Abe – would like to make Japan’s military stronger. (And some, again including Abe, would like to amend the Constitution to make that possible.) This month, the government released a white paper on defense in which it said, among other things, that the Self Defense Forces should develop amphibious assault capabilities similar to those of the U.S. Marine Corps. Anyway, all of this military-political stuff leads up to the fact that there is an Air Self-Defense Force base in Miyazaki Prefecture, and they serve curry in the mess hall. To set the scene, Miyazaki is on the east coast of Kyushu, the southernmost of Japan’s four main islands. In recent years, this prefecture made national news quite often. Partly this was because a famous television comedian named Hideo Higashikokubaru was its governor from 2007 to 2011. And partly it was because during his term outbreaks of bird flu and foot-and-mouth disease led to strict quarantines and massive culls of chicken, cattle and pigs. Nearly 200,000 chickens and more than 200,000 head of livestock had to be killed and disposed of, in a severe blow to the prefecture’s farmers, especially those who produce Miyazaki’s famous beef. But in addition to agriculture, Miyazaki’s economy also includes the activities of Nyutabaru Air Base. And those activities include making curry. 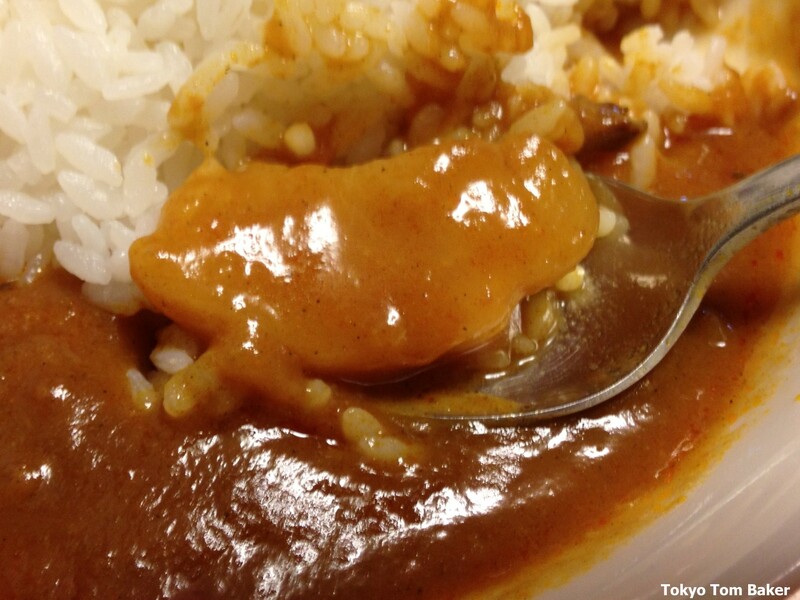 This weekend I picked up some Nyutabaru Air Base curry at the Miyazaki antenna shop in Shinjuku, Tokyo. The curry I tried came in two flavors: spicy beef and mild chicken. 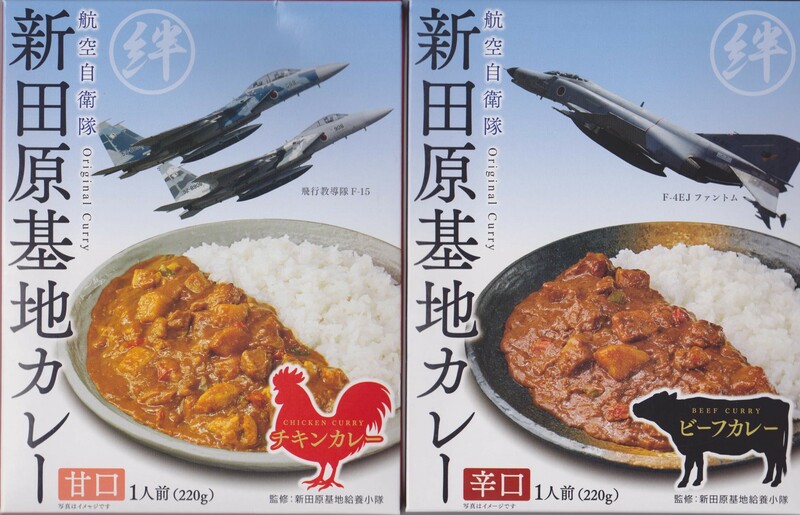 The beef has a photo of an F-4EJ Phantom jet on the box, while the chicken is adorned with a pair of F-15s. These planes, originally developed for the U.S. Air Force by McDonnell-Douglas, are built under license by Mitsubishi Heavy Industries for the ASDF. As for the curry itself, it is made under the supervision of Nyutabaru Air Base’s kyuuyou kotai (which might be translated as “food service platoon”). 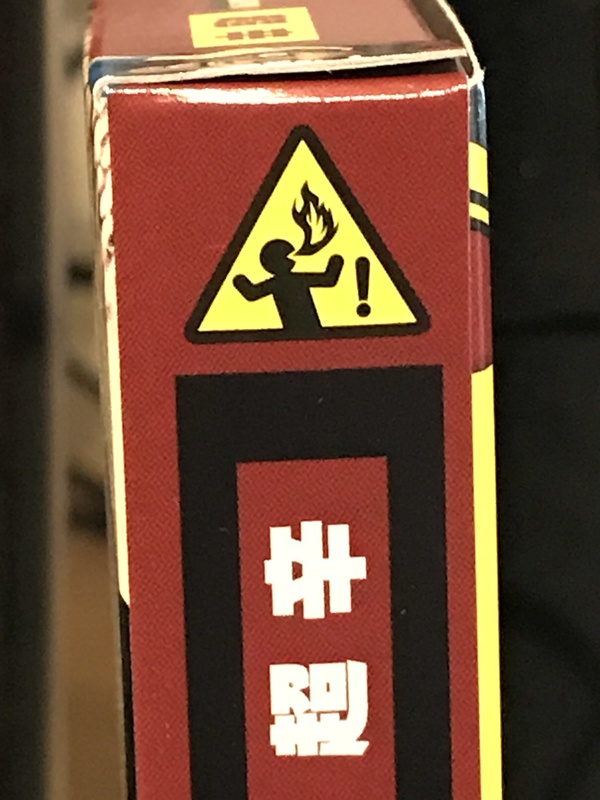 According to the back of the boxes, mixing the spicy curry with the mild curry is a “trend” among base personnel. One bite, and I could see why: They didn’t put curry powder on the beef – they doused it in jet fuel! Whooooo-ee! The beef curry was so spicy it instantly gave me hiccups. That almost never happens. The photo I took of the chicken and beef curries side by side in a bowl was not my most beautiful work. It was even less pretty after I mashed them together (following the trend), but at least I was able to get it down. On carefully reading the ingredient labels, I realized that there was no jet fuel after all, just the usual vegetables, meat and curry roux. Even so, I can’t help wondering if the Nyutabaru Air Base pilots use this curry to haze new recruits. If I ever eat it again, I’m going to treat it like spicy chili and cool it down with a big dollop of sour cream. This is Part 9 of a 47-part series of weekly blog posts looking at curries from each of Japan’s 47 prefectures. Think of a place slightly larger than Maryland and slightly smaller than Swaziland. One answer to that riddle is Iwate Prefecture in northern Japan. It’s the nation’s second-biggest prefecture (after Hokkaido) at 15,278 square kilometers. Thirty of those square kilometers belong to Koiwai Farm, a gigantic privately owned ranch. 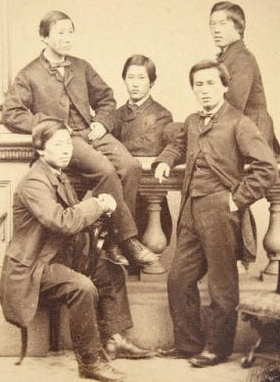 In 1888, Inoue visited Iwate to inspect the progress of railway construction there. According to the Koiwai website, the volcanic soil and barren-looking windswept terrain struck him as a promising area for ranching. With the support of Japan Railways Vice President Makoto Ono and Mitsubishi President Yanosuke Iwasaki, he did establish a ranch in Iwate in 1891. 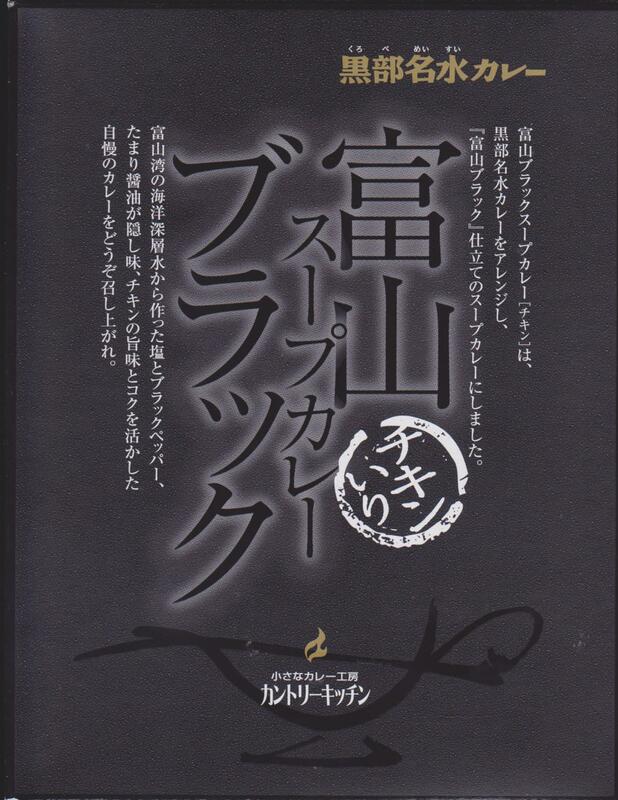 The name of the farm was written with the first characters in the names Ono, Iwasaki and Inoue, or O-Iwa-I. But the character for “O” in Ono can also be read “Ko,” so Oiwai became Koiwai. Today, you can find Koiwai butter and cheese in many Tokyo-area supermarkets, although the company has a tiny market share compared to such modern-day dairy giants as Megmilk Snow Brand, Morinaga, Rokko Butter and Meiji Dairies. 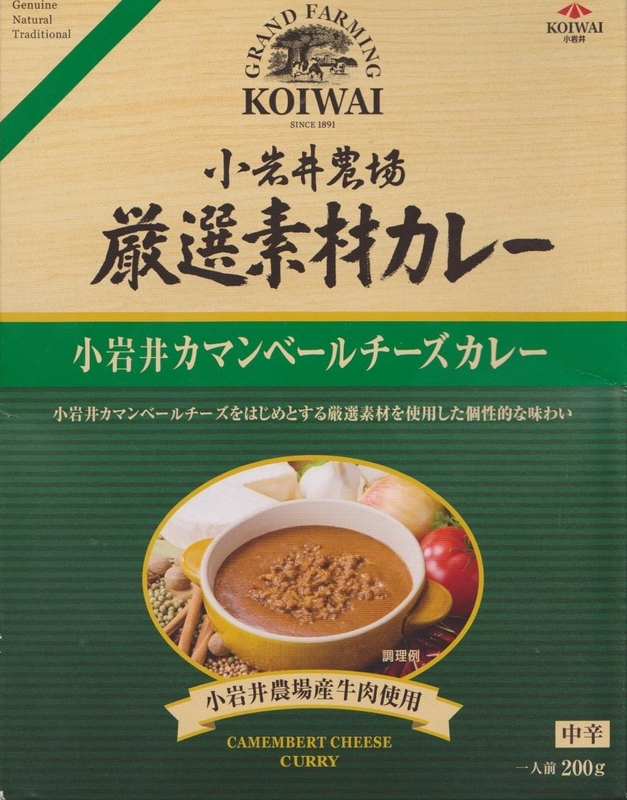 On a recent visit to the Iwate Prefecture antenna store in Ginza, Tokyo, I found some Koiwai cheese curry for 630 a box. I tried two types, cream cheese and camembert cheese. Visually, they were both very similar, and they shared a very nice texture thanks to the presence of melted cheese (and also yogurt) as well as a generous amount of ground beef. The cream cheese curry was mild but tasty, while but the notably more pungent camembert curry had a deep, rich umami-ful flavor. I think it would have gone very well with some strong red wine, but this didn’t occur to me until after the fact. No matter. The camembert curry is one I will almost definitely be trying again, so the wine can wait till next time. Wine and curry may be an unusual combination, but I imagine an adventurous innovator like Inoue would probably approve. This is Part 8 of a 47-part series of weekly blog posts looking at curries from each of Japan’s 47 prefectures. 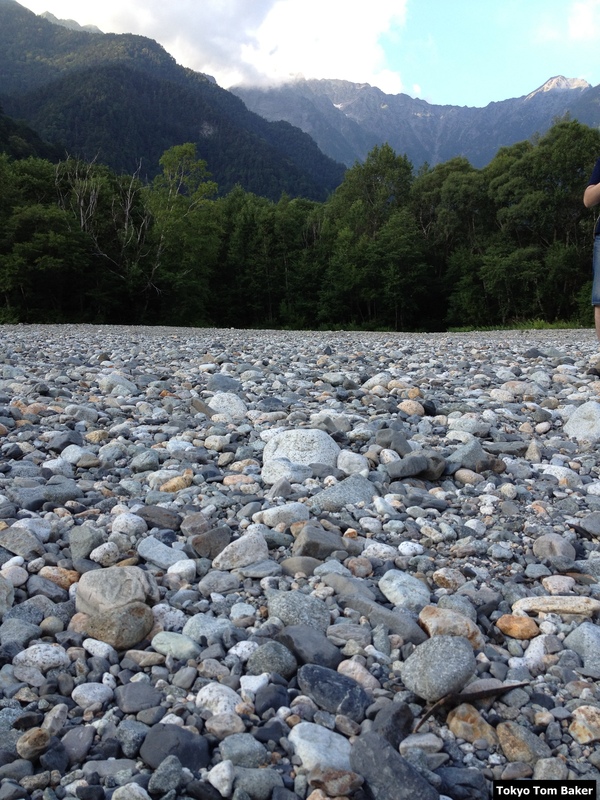 The Kurobe River is short but steep. It runs only 85 kilometers from Mt. 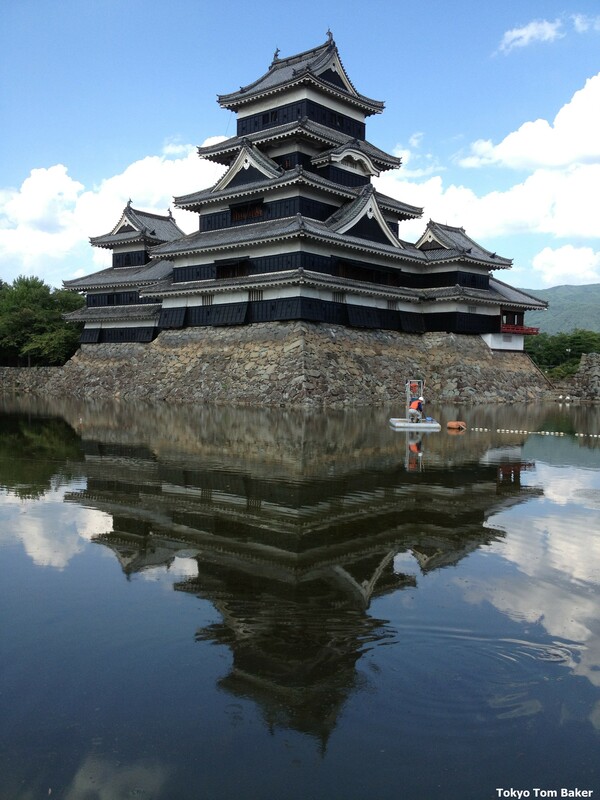 Washiba in Toyama Prefecture, but it falls nearly 3 kilometers over that distance. 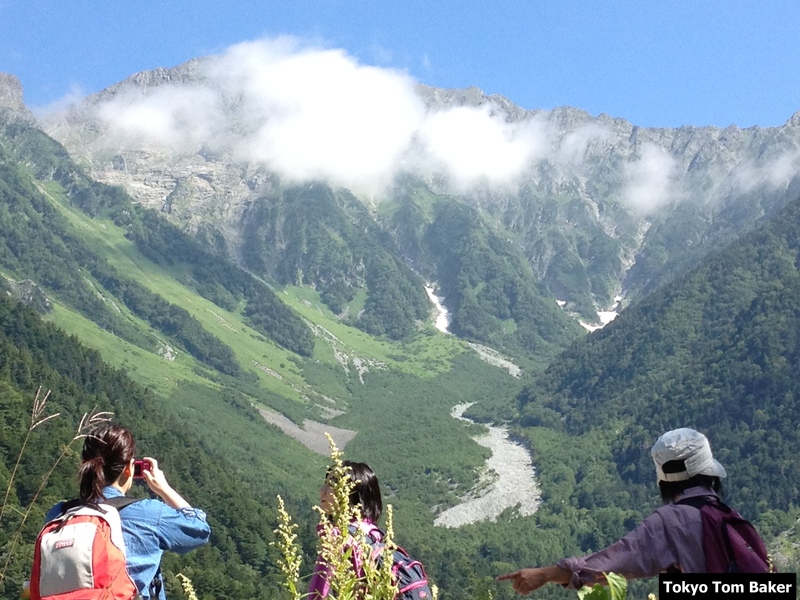 Where it empties into the Sea of Japan, it has created an alluvial fan where the town of Kurobe stands. Some of this gushing water is destined for the curry pot. 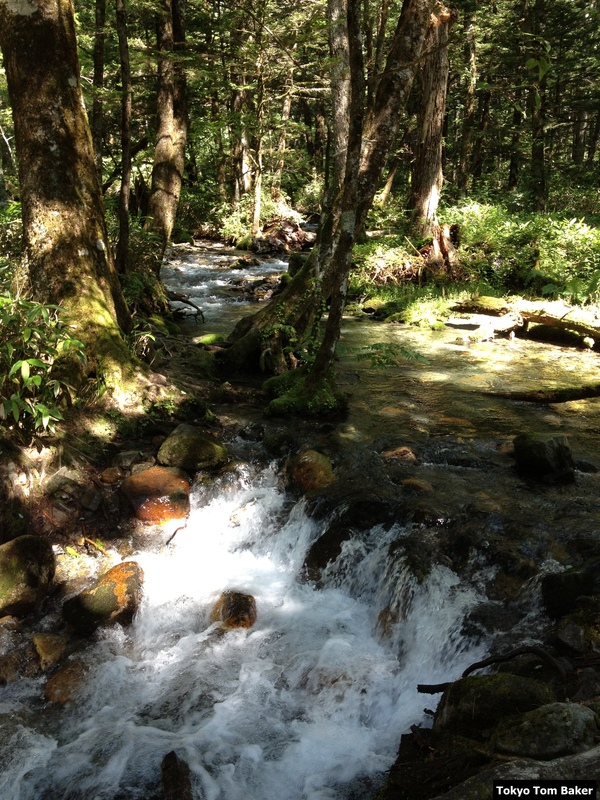 Because of its steep fall, the river was a good candidate for a hydroelectric project. 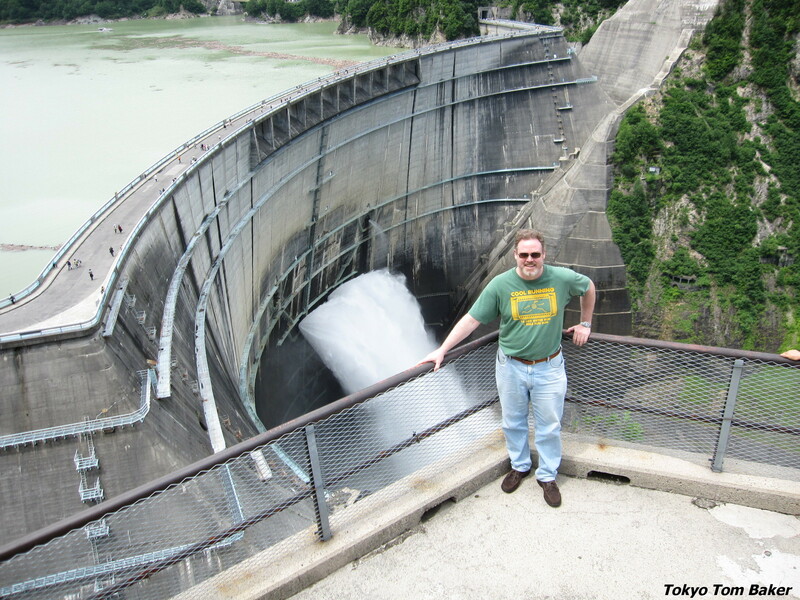 The Kurobe Dam, Japan’s tallest at 186 meters, was built across it in a major postwar construction project from 1956 to 1963 that cost 171 lives in accidents.According to its official website, the dam now generates enough electricity to power a million households. The dam is also a popular tourist site. Its visitors have included yours truly, seen a few years ago in the photo at the top of this entry. (Look at those little people on top of the dam in the background for scale.) 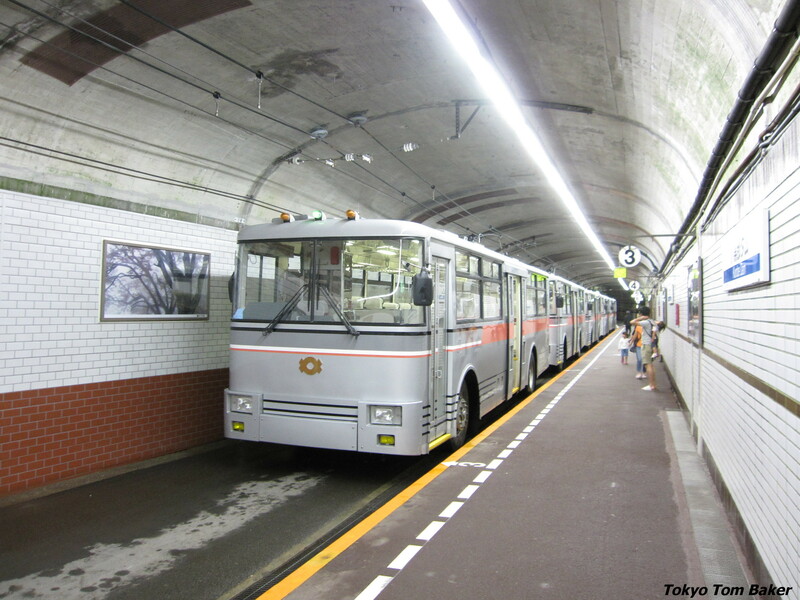 Although the dam is in Toyama Prefecture, the usual way to reach it is to drive to Ogisawa Station in Nagano Prefecture and then catch an electric bus that takes you through the mountains and across the prefectural border via a 6.1-kilometer tunnel that was built to as an access route to the construction project. 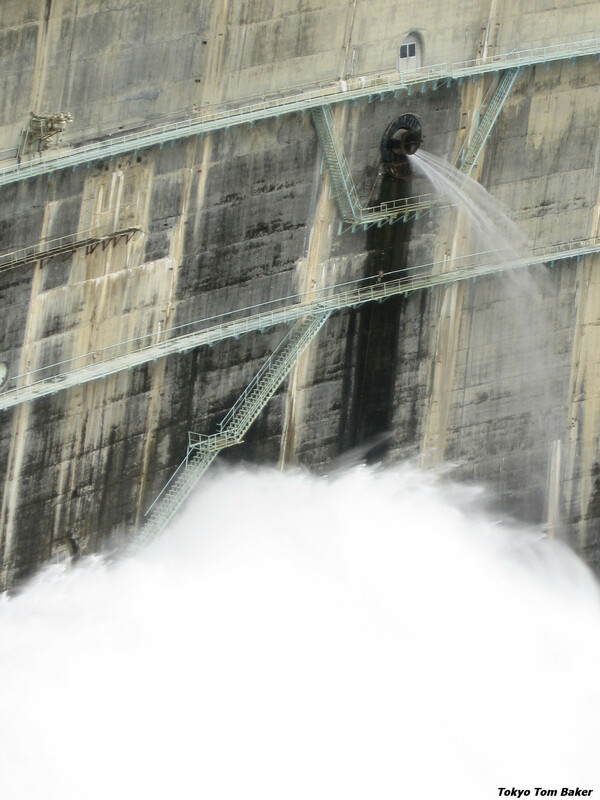 Although most famous as the site of an engineering feat, the Kurobe River is also known for the quality of its water, especially the cold springs that bubble up in the coastal town of Kurobe after filtering through the alluvial fan. It’s called Kurobe Meisui—literally, Kurobe’s famous water. I’ve never been to the town of Kurobe, so I’ve never tasted this water for myself. 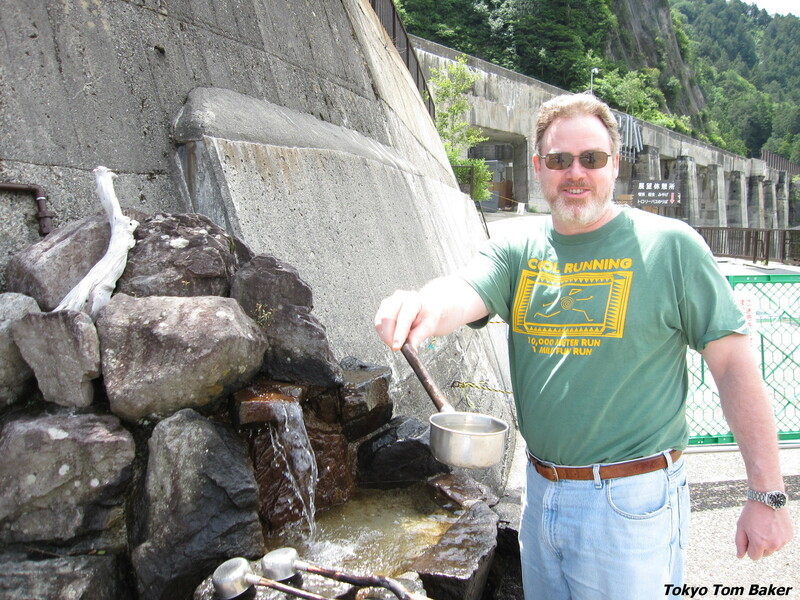 Until today, the closest I had ever come was drinking from a spring high above the river at the Kurobe dam. You could say that I drank a precursor of Kurobe Meisui. 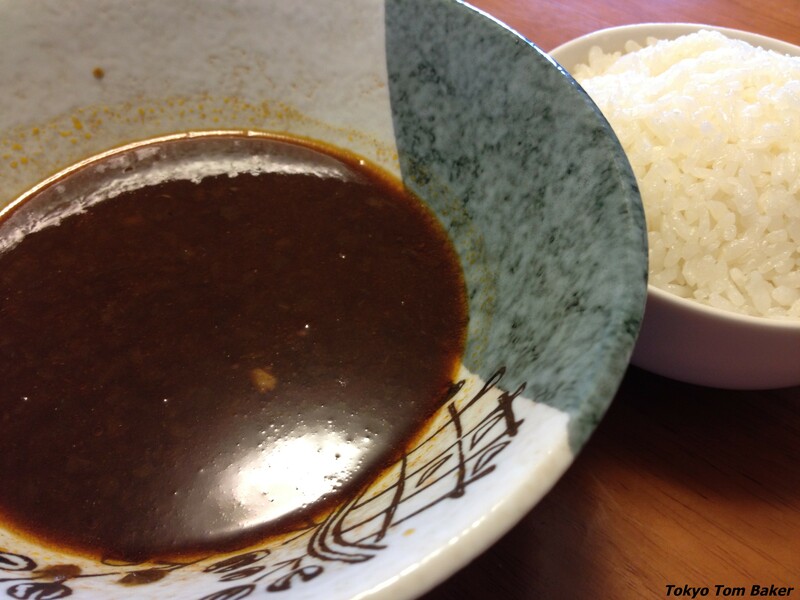 Today, I tasted one of several varieties of Kurobe Meisui curry – a black “soup curry” made with the famous water. 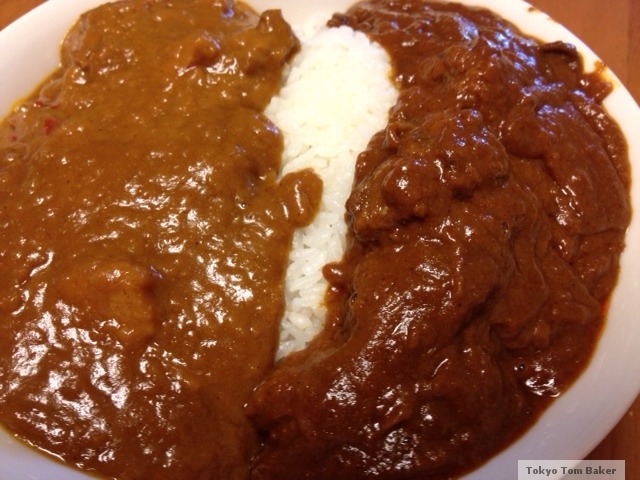 While standard Japanese curry is served on a plate with rice, soup curry is served in a bowl, with rice in a separate bowl. 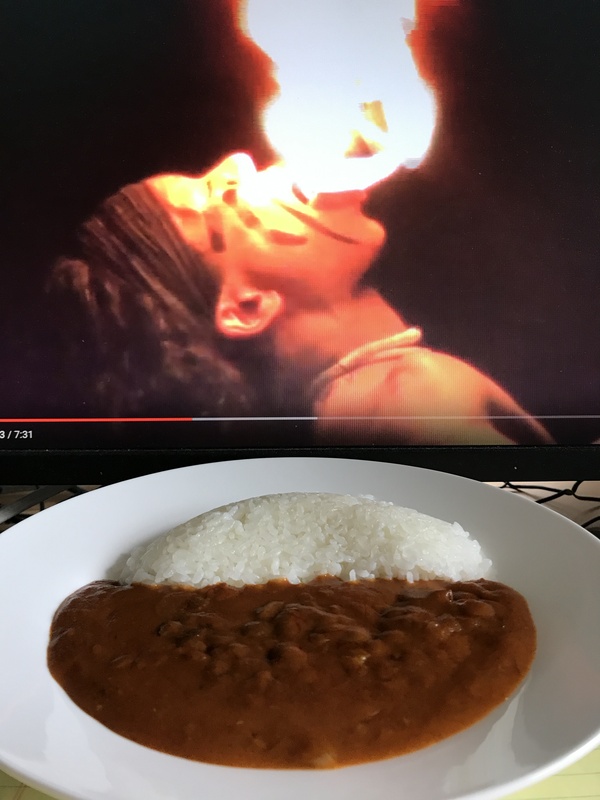 You eat the curry by dipping spoonfuls of rice in it. This curry certainly was soupy. Ah, salt. This brings us to the fact that Kurobe Meisui is not the only famous water in Toyama Prefecture. In recent years the prefecture has also been promoting its “deep seawater,” piped up from beyond the continental shelf in Toyama Bay. 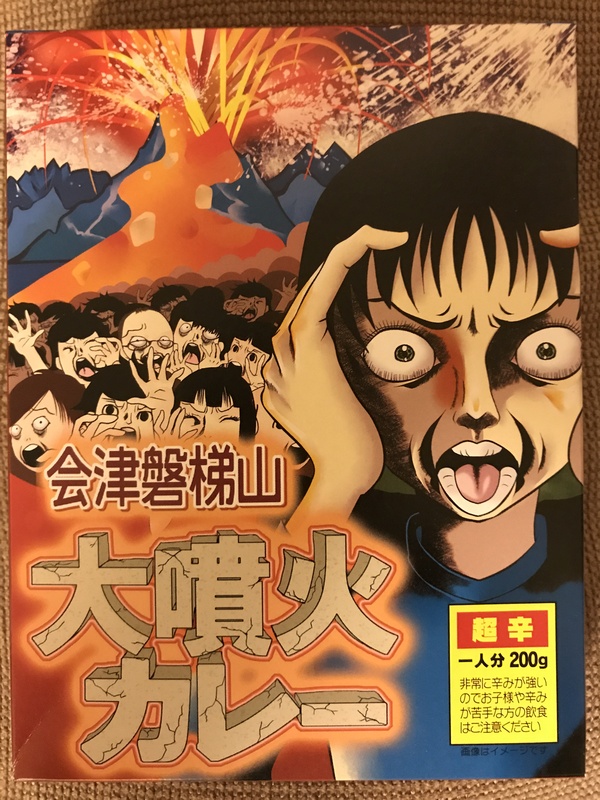 If you’ve been following “Around Japan in 47 Curries,” you know that Tsuruga Bay in Shizuoka Prefecture is Japan’s deepest at 2,500 meters, but the 1,000-meter depth of Toyama Bay is still impressive. “Three major positive characteristics of deep seawater are its low-temperature stability, inorganic nutrient richness, and purity. Its low-temperature stability aspect is utilized in the cultivation of cold water aquafarming. Through this, we have been able to significantly eliminate costs related to the conventional method of aquafarming, which required the cooling of surface seawater. 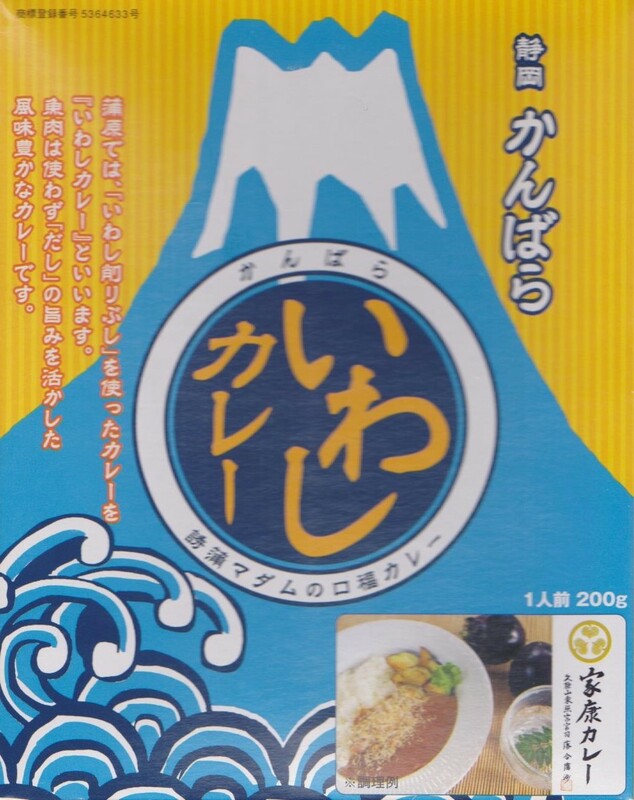 According to the label of my Toyama soup curry, the salt it contains is made from Toyama Bay deep seawater. The ingredients continue with cumin, black pepper, butter, malt extract, bouillon, nam pla fish sauce, sugar, and the usual range of unpronounceables. Eating this curry created a moderate spicy burn that I could feel at the back of my throat as much as on my tongue. I broke out in a sweat while eating it, which might be due to its spiciness or due to the fact that it was fresh off the stove and I was eating it in July with the windows open. In any case, its was spicy enough that I’m still not really sure what that pure Kurobe Meisui water is supposed to taste like. This is Part 7 of a 47-part series of weekly blog posts looking at curries from each of Japan’s 47 prefectures. Shizuoka Prefecture, southeast of Tokyo, includes Japan’s highest point (the 3,776-meter summit of Mt. Fuji) and its deepest bay (the 2,500-meter deep Suruga Bay), for a total altitude difference of 6.2 kilometers (just shy of four miles). 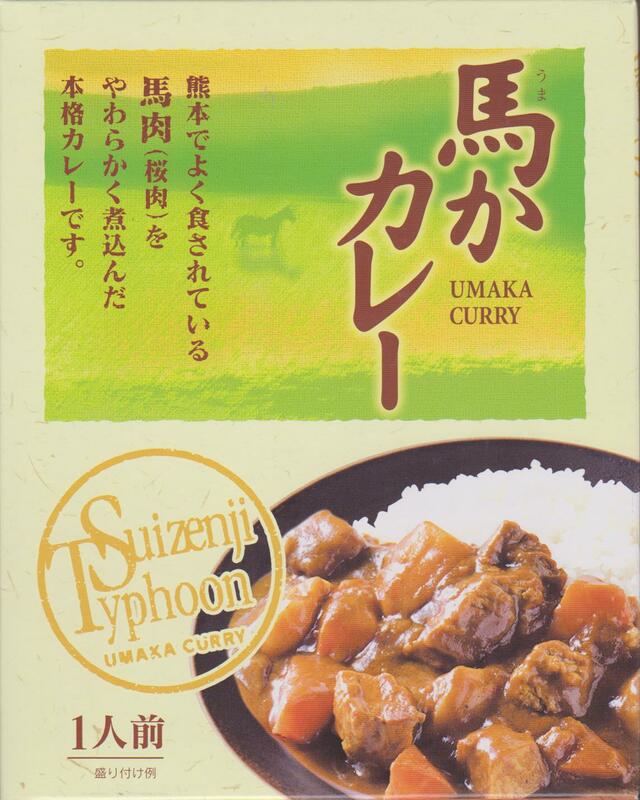 And the Shizuoka curry I sampled this week had a very Japanese flavor: umami. 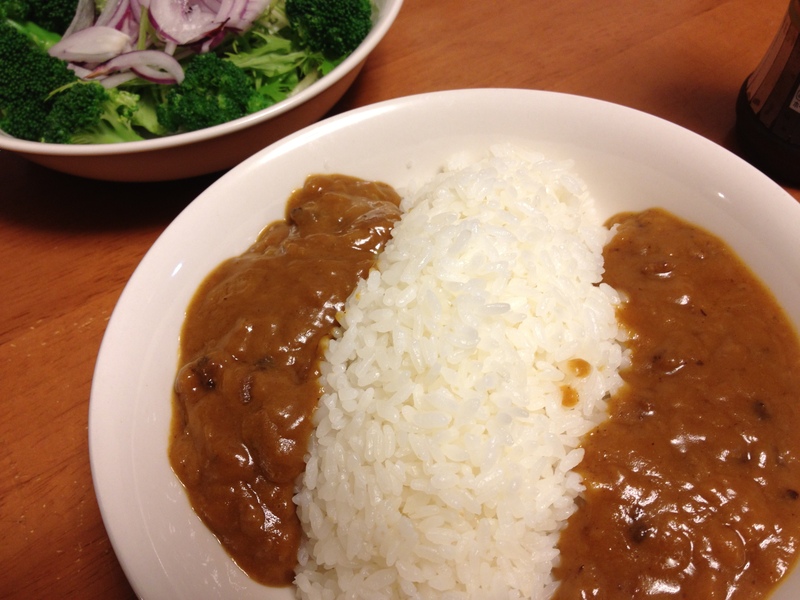 This week’s curry is Shizuoka sardine curry. The first three listed ingredients are vegetables, lard and iwashi kezuribushi. Vegetables are further broken down into onions, potatoes and carrots. I wonder if they were lumped together as one item to keep lard from coming first. Anyway, “iwashi” is the Japanese word for sardine, and “kezuribushi” means the fish have been dried and then shaved into papery flakes. The process is similar to that used in making katsuobushi bonito flakes, which are often sprinkled over okonomiyaki as a condiment. Katsuobushi and iwashi kezuribushi can be boiled to make dashi, a thin but umami-rich stock that is a basic element of Japanese cuisine. Dried kombu seaweed and dried shiitake mushrooms are also umami-ful ingredients that can be boiled to make to dashi. In case the word umami is new to you, here’s the basic concept: Humans enjoy eating salty things because we need a certain amount of salt to live, and we enjoy sweet things because natural sweetness indicates that a food contains readily available energy. Similarly, the flavor known as umami is appealing because it indicates that a food is protein-rich. Meat, seafood and cheese all have their own special kinds of deliciousness that cannot be characterized as sweet, salty, sour or bitter. That category of flavor is called umami. However, protein itself is not necessarily delicious. 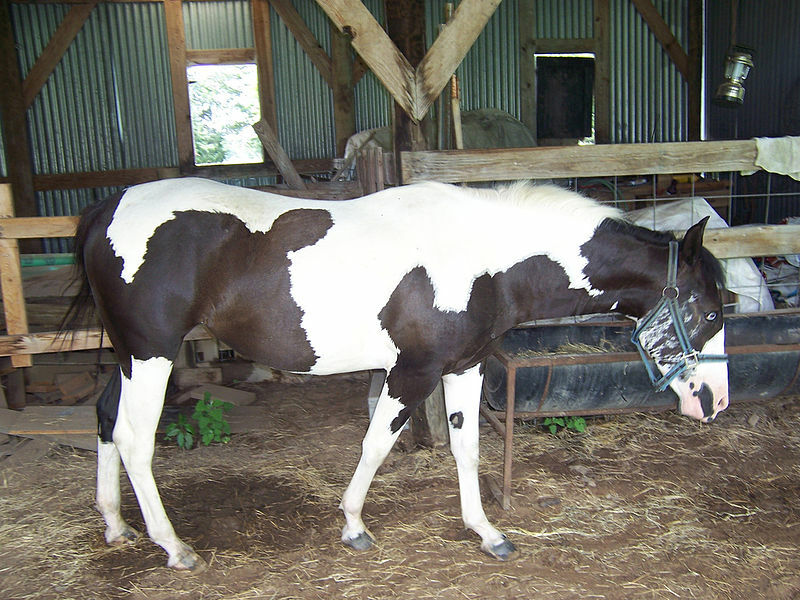 Proteins are complex molecules made up of simpler substances called amino acids. For our bodies to make use of proteins in food, the proteins must first be broken down into their constituent amino acids during digestion. If the foods we eat contain proteins that are already broken down into amino acids, our bodies are able to use them much more easily. Foods in which that has happened have a stronger and more appealing umami flavor. For that reason, protein-rich foods like fish, meat, cheese or even soybeans usually taste much better after they go through processes that cause or accelerate the breakdown of proteins. Such processes include aging, fermenting, curing or even simple drying. And that is why dashi broth is made from dried mushrooms, dried seaweed or dried fish. The proteins have broken down, the amino acids have been set free, and the umami flavor has been ramped up. This brings us back to the dried sardines in this week’s curry. 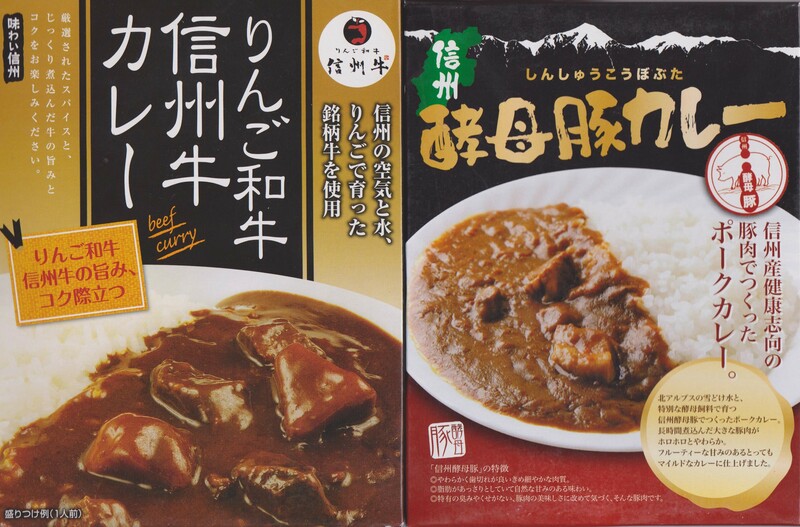 According to text on the label, people in Shizuoka began using iwashi kezuribushi in an effort to give their curry some umami meatiness amid postwar meat shortages. The results were so tasty that 80 years later some of them are still doing it. It is not very spicy and not very exciting, and but even so its fatty mouthfeel and umami flavor made it thoroughly satisfying. This is the first curry I’ve found that I would categorize as comfort food.